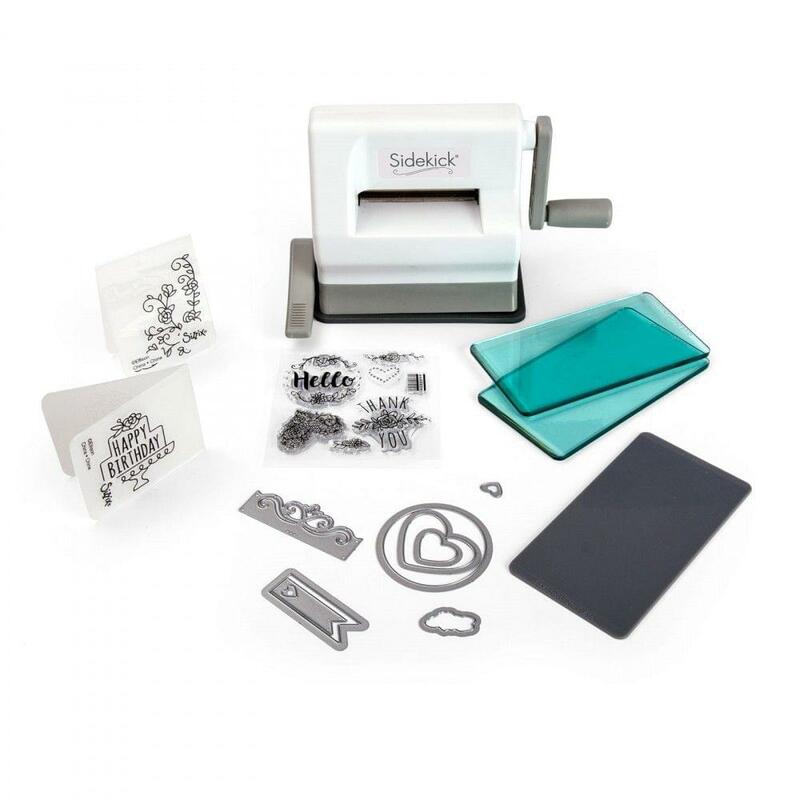 Included with the Sidekick are a pair of Aqua Cutting Pads which makes all Sizzix chemically etched wafer-thin dies up to 2 1/2" wide (Framelits, Thinlits and Triplits) compatible with the Sidekick and even works with other brands' dies! When the included Embossing Pad is used with one Aqua Cutting Pad, the Sidekick can emboss with embossing folders (Textured Impressions and Texture Trades) up to 2 1/2" wide. Helpful for crafting on the go, this portable roller machine has a special vacuum seal that holds it securely into place onto any smooth work surface. This small roller machine weighs 2 pounds, stands 4 3/4" tall and features a three-year limited warranty. 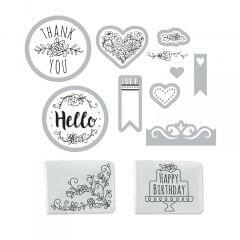 This starter kit also includes 6 Framelits dies, 2 Thinlits dies, 2 small Textured Impressions Embossing Folders and 7 Stamps to get you started crafting right out of the box. With birthday, thank you, heart and flower designs, there are many projects to make with endless personalized possibilities. Machine Dimensions7 3/4" x 4 3/4" x 3 1/2"